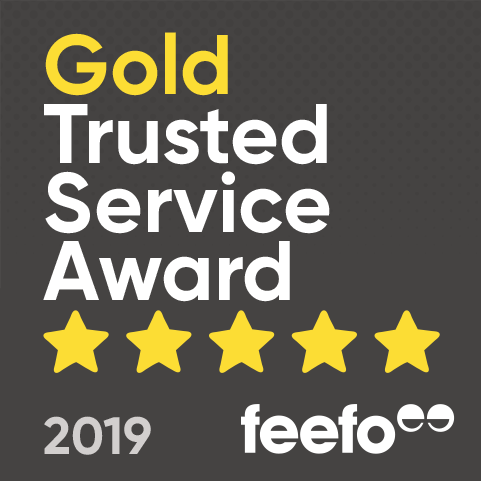 A fantastic 1 to 1 private paddle boarding lesson - available at a range of London locations, you'll soon be gliding across the water with confidence! Become a confident paddleboarder with this private Stand Up Paddleboarding (SUP) lesson based in a number of different London locations. 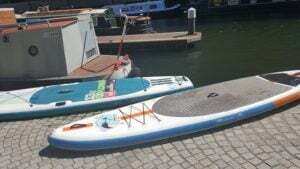 Learning from an experienced instructor, you can develop your SUP skills as you receive one to one tuition throughout this one and a half hour paddleboarding experience. Paddleboarding is an extremely popular water sport and this lesson is the perfect introduction to the activity. Your experience begins as your instructor welcomes you to the world of SUP, then it'll be time to get kitted out in your wetsuit and buoyancy aid. You’l first get to grips with aspects of water safety and how to identify hazards, before moving on to paddleboarding techniques. Once you’re feeling confident, it’ll be time to head out onto the water and get practising! With the help of your tutor, you’ll be standing on your board gliding across the surface in no time. You’ll try out race turns and develop your paddle boarding techniques, as well as learning how to use the tide and read tide timetables. 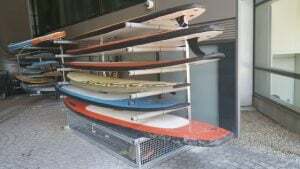 You can even try a range of different boards and paddles, helping you decide which might be the best to purchase if you decide to pursue this rewarding hobby in the future. This beginners private SUP lesson is the perfect experience gift for anyone looking to learn an exciting new hobby. Paddleboarding is a great water sport and is a wonderful activity to master. This Private SUP lesson can be run on almost any date throughout the year, depending on availability. (although those under 8 will need to provide size info upon booking, for safety reasons). All participants must be confident in the water. Those under the influence of alcohol will not be permitted to take part. This is a 90 minute introductory paddle boarding lesson. You'll need to arrive around 15 minutes prior to your start time and might need to allow time to change afterwards. 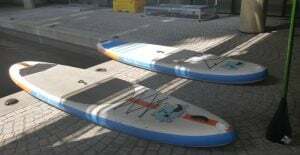 Participants: The Beginners Private SUP Lesson - London is for 1 participant. This SUP experience is based on one-to-one tuition between you and your instructor. If you would like to add up to 2 extra people to your group, you may do so...you will not be sharing your session with anyone outside of your own booking. Spectators are welcome to come along and watch you leave but please be aware that this water-sport involves travelling along the river/canal so your guests will not be able to see you at all times. Please simply wear a comfortable pair of shorts and t-shirt or light layers for warm weather. Remember that jeans/denim grow heavy and stay cold when wet. If it is chilly you might like to wear a fleece or a wetsuit - you may bring your own, or hire one from the centre on request. Please wear shoes that you don't mind getting wet. You'll also need to bring a towel and spare change of clothes. All participants will be provided with a buoyancy aid, paddle and board for the duration of the session. This is an outdoor water-based activity - therefore if extreme conditions arise, your session may need to be cancelled and re-scheduled for an alternative date. This week, Maddie and I ventured back into the heart of London to try something a little unusual – Stand Up Paddleboarding! 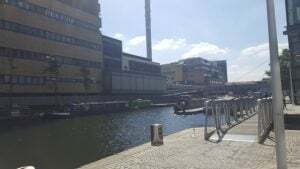 We were lucky enough to experience how beautiful The City can be on a warm summers day – with the weather on our side and perfect for paddleboarding (26 degrees!) . A short tube hop away from Victoria, we arrived at Paddington Tube Station, ready to see what the day had in store for us. 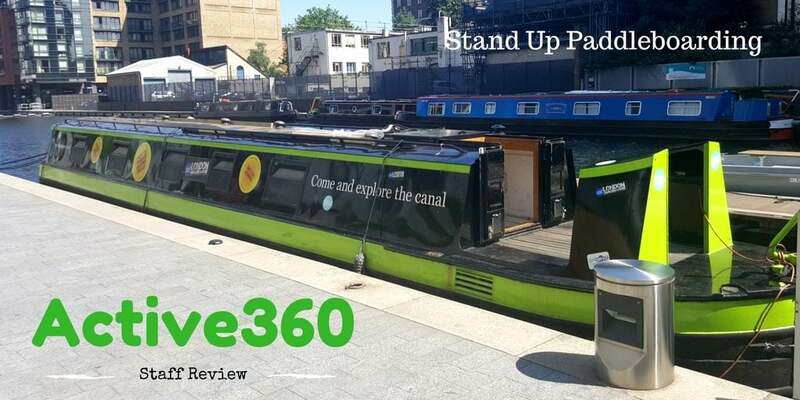 The Active360 boat was easy to find, and our instructor Anu was waiting for us by the barge on Paddington Basin. We got changed into our special paddleboarding shoes (provided), and Anu demonstrated how to paddle, get up onto the board and what to do if we fell in (which luckily, we didn’t!). After our safety instruction, we headed into the water. We both found the sensation quite daunting at first, as neither Maddie, nor I, had ever SUP’ed before. Within 15 minutes on the paddleboards, however, we were up and standing. Although wobbly at first, we quickly relaxed into it and could enjoy the beautiful sights around us. 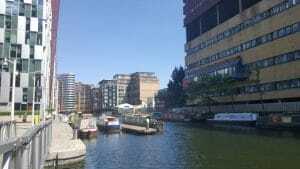 We paddled through Paddington Basin, past old Dutch and French Barges, under various cute little bridges – including the half-penny bridge – all the way to the fork between Regents Canal and Little Venice. As ours was a private experience, we chose to make our way through Little Venice, which worked out wonderfully. There were dainty, little restaurants on the river bank, low branching trees and spots where geese and their chicks were all hanging out. We were surprised by how peaceful and green this part of London is, as this was not something we had experienced before. Our instructor Anu was a wonderful tour guide, explaining various sights along the way and disclosing interesting facts about various parts of the city. All in all, it’s safe to say our SUP session was by far one of the best experiences we’ve done so far, and we’d both love to go again in future. It definitely showed London in a different light, far from what either of us had experienced before. We would like to say a massive thank you to Active360 for having us and – of course – to Anu for being an excellent tour guide!